Venture firm Cocoon Capital announced the appointment of Martin Roll as external Senior Advisor to the company on 24 October 2017. Martin Roll will advise the Singapore-based firm and its portfolio companies on strategy, global expansion, branding and marketing. “I have known and followed Cocoon Capital since its inception and I find their value-add and profile very fit for purpose in the emerging, digital Southeast Asian economy. I am particularly excited to advise young, online growth companies as they have an unprecedented opportunity to disrupt business-as-usual. Asia will create the next frontier of global challenger brands, and I am honored to help facilitate some of these journeys with Cocoon’s Managing Partners Michael Blakey and Will Klippgen”, added Martin Roll, Senior Advisor and Business & Brand Strategist, Martin Roll Company. Cocoon Capital is a Singapore-based, USD 7M venture firm focusing on early-stage, digital companies across Southeast Asia. Its main philosophy remains to invest in few, carefully selected companies and nurture them deeply. The firm invests up to USD 750.000 per company and works actively with the founding teams till the next funding round. Cocoon’s portfolio includes Hapz.com, Poundit.com and Hiip.asia. Backers of the firm include successful entrepreneurs and family offices from the US, Europe and Asia. Cocoon Capital has strategic partnerships with Amazon Web Services and Amadeus Next, the incubation arm of travel giant Amadeus. Martin Roll is a world-renowned, thought-leader, business strategist, CEO mentor and advisor to Fortune 500 companies, Asian firms and global family-owned businesses helping to build and manage strong, global brands as well as to lead high-performing, marketing-oriented businesses. He is the CEO of Martin Roll Company and brings with him more than 25 years of board and C-suite counselling experience. Martin Roll teaches MBA, EMBA and Executive Education programs at Nanyang Business School (Singapore), and is a frequent guest lecturer at INSEAD and other leading global business schools. Martin Roll has been a Senior Advisor to McKinsey & Company since 2015, and is an Associate Fellow at The Institute on Asian Consumer Insight (ACI). 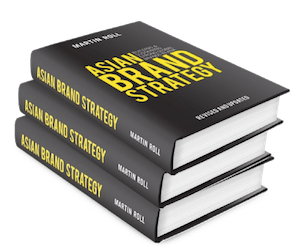 He is the author of global bestseller “Asian Brand Strategy” and co-author of “The Future of Branding”.